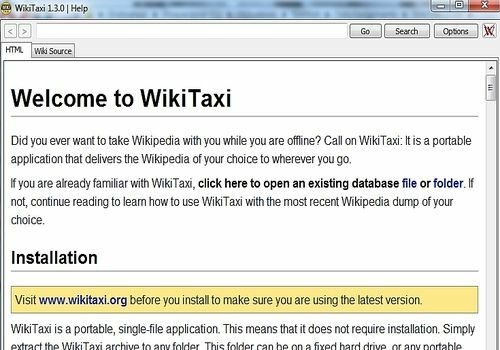 WikiTaxi is a Wikipedia that has been sucked up and transformed into a small compressed file. Thus, you will be able to consult the articles of the encyclopedia freely and online, without consuming data and always having the possibility to skip from page to page. It is possible to make frequent updates from XML files or simply wait for updates to the original file.